Combine the vodka, orange liqueur and juices in a cocktail shaker with ice and shake. Strain and pour into chilled glass. 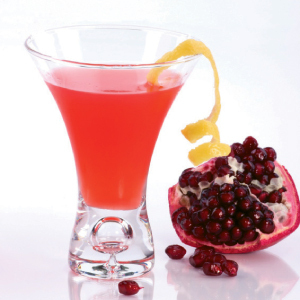 Put a teaspoon of fresh pomegranate seeds in glass as a garnish.